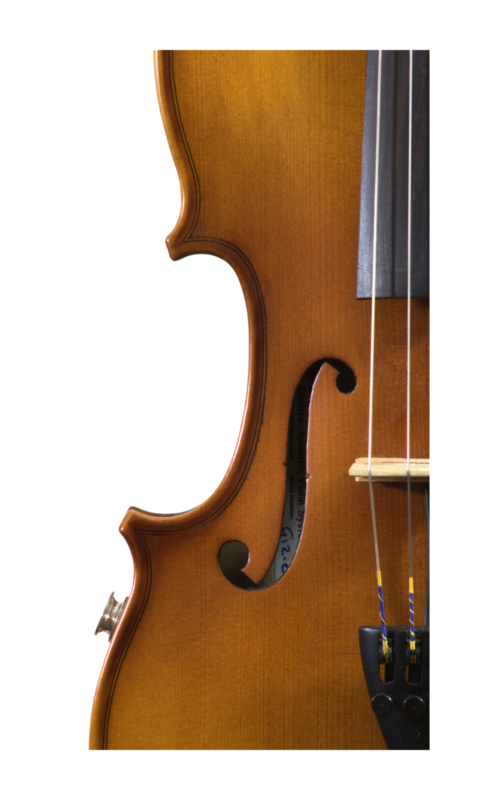 Viola sizes: 15" - 15.5" - 16"
The Sonic Attack is based around a good quality handcrafted student violin. They are hand built by small specialist teams from raw material to finished instrument, rather than the series production manufacturing of lesser instruments. They use the traditional combination of spruce top plates and figured two piece maple backs with inlaid purfling, maple ribs and scrolls, ebony fingerboards, pegs and enpins and are fitted with an integral 4 way adjustable metal tailpiece. The deep colours selected for the finish enhance the natural wood grains and each instrument is hand polished to finish. All these violins have their own unique character. The standard set up comes with D'Addario Helicore strings - these are steel rope core strings and give excellent results on these violins. You may specify your own strings at cost if preferred. These instruments have been selected because the quality exceeds that of factory produced European violins with price tags five times higher. The Sonic Attacks are supplied as standard with a lightweight oblong case featuring a full length pocket, large internal compartment, neck strap, padded cloth and straps. Also included is a composite bow with ebony frog.